Discover the 7 C's to Build a Winning Team in Business, Sports, and Life. 1. Teams rise and fall on culture, leadership, relationships, attitude and effort. Great teams have a great culture driven by great leadership. Relationships are meaningful and teammates are connected. The collective attitude is very positive and everyone on the team works hard to accomplish their mission. 2. It’s all about teamwork. Sometimes you are the star and sometimes you help the star. 3. If you want to be truly great you have to work as hard to be a great teammate as you do to be a great player. I tell this to athletes all the time but the same is true for any profession. When we work hard to be a great team member we make everyone around us better. 4. Your team doesn’t care if you are a superstar. They care if you are a super team member. 5. Three things you control every day are your attitude, your effort and your actions to be a great teammate. It doesn’t matter what is happening around you and who you think is being unfair. Every day you can focus on being positive, working hard and making others around you better. If you do that great things will happen. 6. One person can’t make a team but one person can break a team. Stay positive! Make sure you don’t let energy vampires sabotage your team. Post a sign that says “No Energy Vampires” allowed and keep them off the bus. Most importantly, decide to stay positive. 7. Great team members hold each other accountable to the high standards and excellence their culture expects and demands. 8. Team beats talent when talent isn’t a team. 9. Great teams care more. They care more about their effort, their work and their team members. Unity is the difference between a great team and an average team. United teams are connected and committed to each other. They are selfless instead of selfish. They put the team first and know together we accomplish more. 11. You and your team face a fork in the road each day. You can settle for average and choose the path of mediocrity or you can take the road less traveled and chase greatness. It’s a choice you make each day. Which path will your team take? 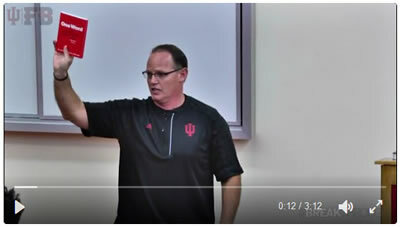 How do the Indiana University Football staff and players go about picking their OneWord? @CoachAllenIU explains. Watch this. 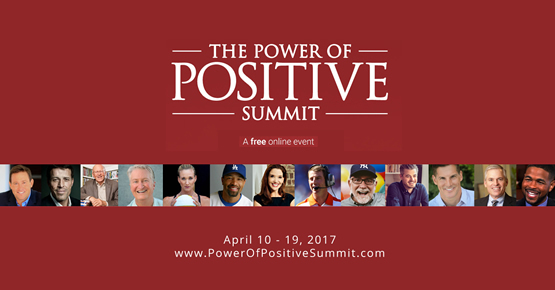 I'm extremely excited to invite you to join us for the 2017 Power of Positive Summit, a free online event featuring over 40 brilliant thought leaders and experts sharing strategies on how to stay positive, overcome challenges and make a greater difference in the world.